Source of funding: REFRESH Project is a Research and Innovation Action and is funded through the European Commission’s Horizon 2020 programme. One-third of food produced for human consumption is lost or wasted globally, which amounts to about 1.3 billion tons per year. Food waste refers to the decrease of food in subsequent stages of the food supply chain intended for human consumption. This may be due to problems in harvesting, storage, packing, transport, infrastructure or market / price mechanisms, as well as institutional and legal frameworks. Food that is fit for human consumption, but is not consumed because it is or left to spoil or discarded by retailers or consumers is called food waste. This may be because of rigid or misunderstood date marking rules, improper storage, buying or cooking practices. A carton of brown-spotted bananas thrown away by a shop, for instance, is considered food waste. 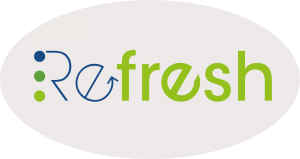 REFRESH is part of the Horizon 2020 WASTE calls for tender, specifically WASTE-2-2014 A systems approach for the reduction, recycling and reuse of food waste. The aim REFRESH is to contribute significantly towards the objective of reducing food waste across the EU by 30% by 2025 (which amounts to between 25-40 million tonnes of food not being wasted in 2025, worth tens of billions of Euros a year) and maximising the value from unavoidable food waste and packaging materials. To achieve this ambitious goal, the project will adopt a systemic approach and use cutting edge science to enable action by businesses, consumers and public authorities. A central ambition of REFRESH is to develop a ‘Framework for Action’ model that is based on strategic agreements across all stages of the supply chain (backed by Governments), delivered through collaborative working and supported by evidence-based tools to allow targeted, cost effective interventions. Success will support transformation towards a more sustainable and secure EU food system, benefitting Europe’s economy, environment and society. EuroFIR AISBL will be mostly involved with Work Package 6 – Valorisation of waste streams and co-products. This will involve identifying the key waste streams that have significant environmental impacts to develop the most effective approaches and also to exploit EU data to develop a compositional database which provides users with ready access to the biochemical composition of agri-food chain waste streams. Along with our other partners in the REFRESH project we will work on work package 7 on communication and dissemination and work package 3 to help develop recommendations for improving the policy framework.